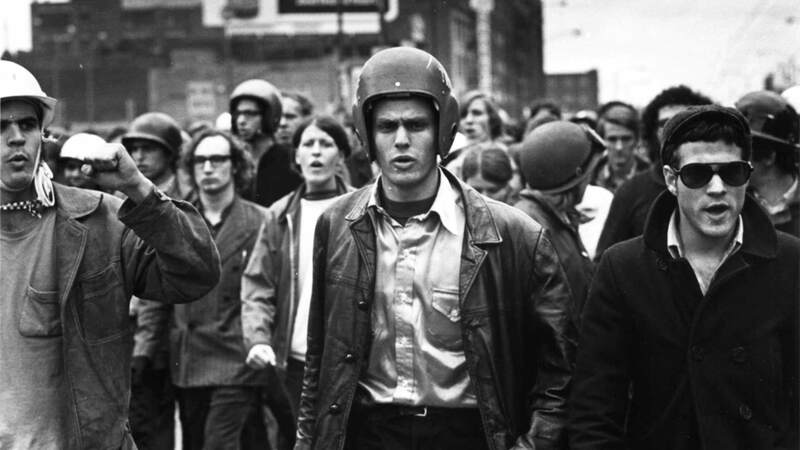 In 1970, a group of young American radicals called The Weathermen announced their intention to overthrow the U.S. government. Fueled by outrage over the Vietnam War and racism in America, they went underground later in the decade, bombing targets across the country that they felt symbolized the real violence that the government and capitalist power were wreaking throughout the world. From pitched battles with police on Chicago's city streets, to bombing the U.S. Capitol building, to breaking acid-guru Timothy Leary out of prison, this carefully organized clandestine network attempted to incite a national revolution, while successfully evading one of the largest FBI manhunts in history. This Oscar-nominated documentary interweaves extensive archival material with modern-day interviews to explore the group's incredible story. Out beyond ideas of wrongdoing and rightdoing, there is a field. I'll meet you there. When the soul lies down in that grass, the world is too full to talk about. Ideas, language, even the phrase "each other" doesn't make any sense. rumi - 13th century And now we ascend into the Love Revolution~ thank you to the way showers who step by step took humanity into the heart.